Chris Rhodes and I created an interactive window installation for the PDX Gallery about pigeons. We installed an interactive display that celebrated pigeons in all their splendor. 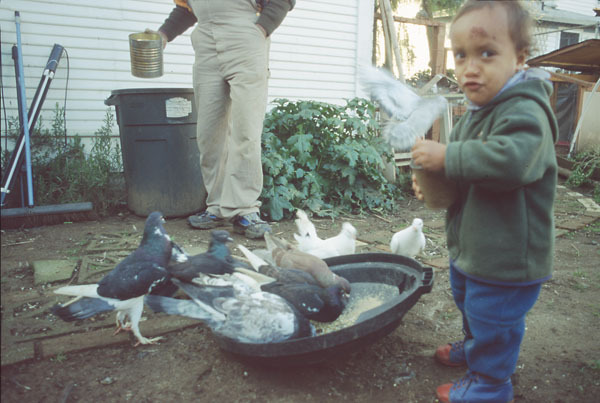 Pigeons are beautiful and intelligent and possess a long and interesting history of relations with humans. 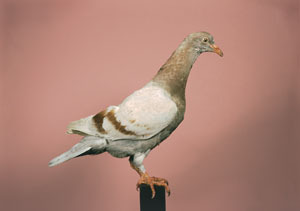 We wish to share our passion for pigeons with viewers using an interactive, educational exhibit. 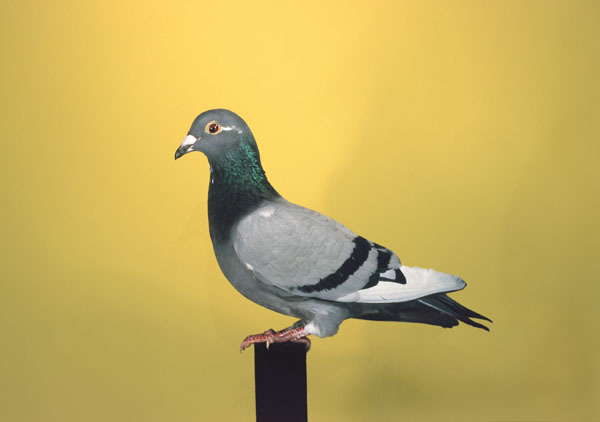 The exhibit told our personal stories of raising and admiring pigeons as well as highlighting pigeon achievements throughout the ages, for example, as message-carrying war heroes in WWI. The installation consisted of a slide projector and animatronic pigeon model which viewers operated using cell phones. When a viewer calls the phone number listed on the window display, the slide show starts, and they will be able to hear the sound track over the phone. If they wish, they may control the slide show by rewinding or fast forwarding through it by pressing buttons on their phone. The slide show featured pictures of us and our birds, as well as historical photos of pigeons and pigeon lofts. 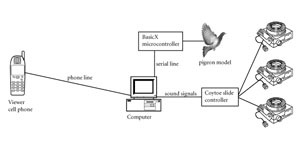 The pigeon model will flaped its wings when viewers pressed buttons on their phones. The sound track related a series of short anecdotes about pigeons. We believe that we created a playful and educational exhibit, similar to what one would find in a natural history or science museum, but with a more personal feel. We also believe that the exhibit brought together elements of public space in an unexpected way. 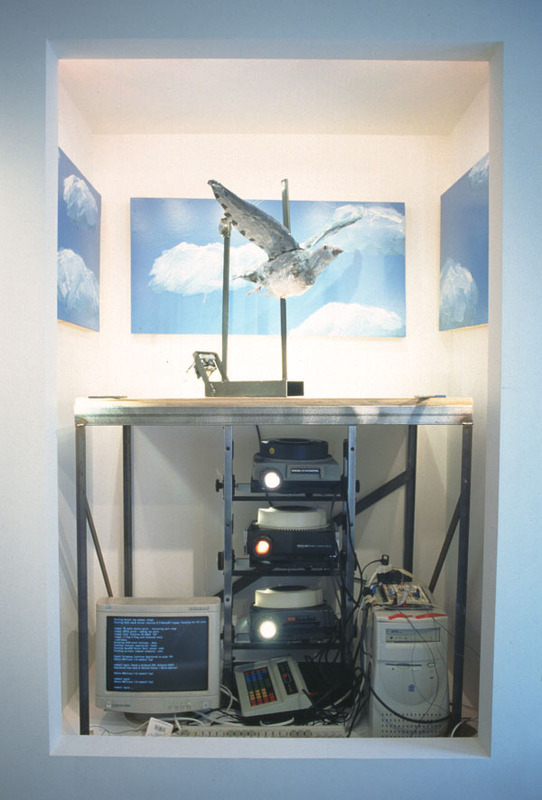 It synthesized everyday materials from the urban environment (shop windows, pigeons, and cell phones) to form a personal and playful experience. We'd like to thank Digium an excellent telephony company that provided us with hardware and technical support for this project.